The Kiton tie is faithfully created following the Neapolitan tradition: seven folds and handmade passages turn a single piece of cloth into an indispensable accessory no man should relinquish. 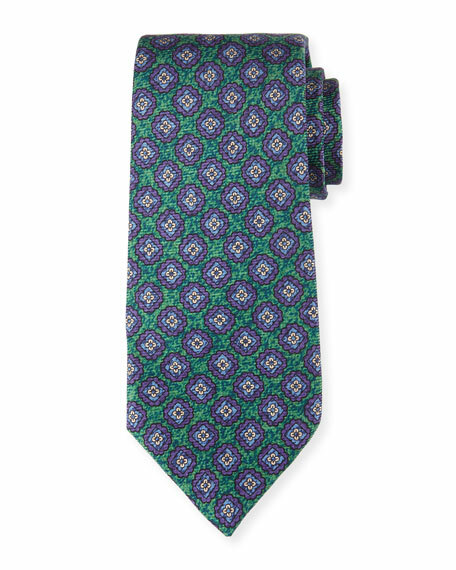 Kiton tie featuring medallion print. Greater than 3" at widest. For in-store inquiries, use sku #2280301.